THIRD TAGGED REDFISH WINNER CONFIRMED! Tuesday evening, July 1st started like most for Corpus Christi resident, Mike Capell. He picked up his wife from work a little after 8:00 pm., drove back home to drop her off, grabbed his pole and headed to his favorite spot at Oso Bay. After fishing about an hour and a half, Capell finally got a bite. It was a redfish. Capell threw the red up on the bank and continued fishing. He caught two trout and decided to call it a night. It wasn’t until Capell went to clean the fish later that evening that he noticed a long skinny thing on the one redfish he caught. Capell yelled to his wife to bring him a magnify glass. Capell’s wife read off the tag info to him and that’s when he realized it was tagged redfish, TA638! The couple was in shock. Capell iced down the fish before he went to bed. The next morning he let the guys from work know he had caught a tagged redfish the night before then headed to official STAR Weigh Station, Roy’s Bait & Tackle to weigh in his fish. “The LORD & luck were on my side. I’d like to thank the CCA & STAR TOURNAMENT and all their staff,” said Capell. 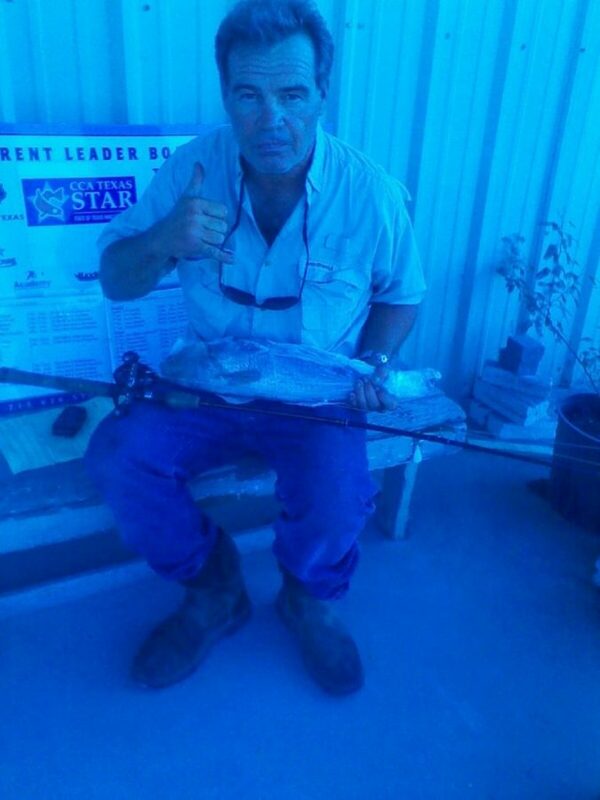 Mike Capell is the third official winner of the 2014 CCA Texas STAR Tournament, Texas Ford Dealers Redfish Division. He will receive a 2014 Ford F-150 Texas Edition XLT SuperCab truck, Haynie 23’ Big Foot boat, Mercury 150 L Pro XS OptiMax motor and Coastline trailer. CONGRATULATIONS TO OUR THIRD TAGGED REDFISH WINNER! Fortunately for Mike Capell, he was registered. Each will be awarded their truck/boat prize packages at the STAR Awards Ceremony in October.